2017 has been another stellar year for the Luxembourg asset management industry. As at 30 September 2017, assets under management of Luxembourg regulated funds have exceeded for the first time the €4 trillion mark. The growth of assets under management has been quite spectacular with the increase from €3 trillion to €4 trillion taking merely three years. As impressive as they are, those statistics do not give the full picture of the Luxembourg fund industry as they only take into account Luxembourg regulated funds. On the alternative side, most funds that have been established in Luxembourg since 2013 have been established as unregulated vehicles, either as unregulated Luxembourg limited partnerships (LPs) or more recently as reserved alternative investment funds (RAIFs). Over the last few years, we have seen a massive increase in the number of large private equity managers that have chosen Luxembourg as their European domicile of choice for the establishment of their funds and their alternative investment fund manager (AIFM). Some of the largest private equity firms worldwide have now chosen Luxembourg as their main European hub. 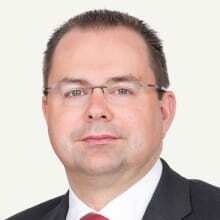 Several factors are contributing to the growth of the Luxembourg private equity industry. One of them is certainly the wide range of Luxembourg vehicles that are appropriate for structuring private equity funds. Another factor is the convergence of regulatory and tax developments, in particular the Alternative Investment Fund Managers Directive (AIFMD) and the OECD’s action plan against base erosion and profit shifting (BEPS), which all point in the direction of an increased focus on the operational presence of the manager in the country where the funds and their SPVs are located. 2016: creation of the RAIF, a vehicle which is not subject to the direct supervision of the Luxembourg supervisory authority (CSSF) and may be used for the structuring of any type of AIF, including private equity funds. 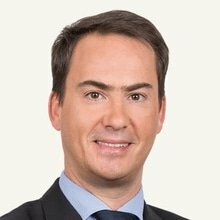 Since 2013, the LP (under the form of an SCS or SCSp) has become the vehicle of choice for the structuring of Luxembourg funds investing in illiquid assets, including private equity. The Luxembourg LP regime offers wide structuring flexibility and enables sponsors to tailor the fund structure to fit their specific needs. The LP is also extremely attractive for Anglo-American sponsors familiar with this type of vehicle. The main difference between SCSs and SCSps is that, contrary to SCSs, SCSps do not have a legal personality of their own. The SCSp is therefore similar to an English LP, while the SCS is closer to a Scottish LP or a German KG. From a Luxembourg (legal and tax) standpoint (and for an AIFMD-compliant vehicle), the choice between an SCS and an SCSp does not have any material impact on how the Luxembourg LP will operate and interact with its partners and counterparties (and does not impact at all on the responsibility of investors, who benefit from limited liability in both structures). This choice is generally driven by investors’ preferences and tax considerations. Anglo-American sponsors and investors are generally more familiar with the SCSp structure, which is closer to an English LP. The SCS and the SCSp are two types of Luxembourg companies. LPs are therefore not a regulatory status, and Luxembourg LPs (SCSs and SCSps) may therefore be established either under one of the specific product regimes available (SICAR, SIF or RAIF regimes) or outside of those regimes (in which case they are generally referred to as ‘unregulated LPs’). Key features of unregulated LPs are very similar to those of English, Scottish or US LPs. This enables Anglo-American sponsors to establish their Luxembourg funds in a format that they, and their investors, are familiar with. They use their standard documentation for the launching of their Luxembourg LP, with limited adjustments only. The unregulated LP may be used for the structuring of funds, feeder funds, parallel funds, co-investment vehicles or carried interest vehicles. More and more private equity managers are establishing parallel fund structures with two separate funds, one in Luxembourg targeting European investors, and the other in another jurisdiction targeting US investors for instance. The unregulated LP regime offers the flexibility needed to ensure that the Luxembourg fund operates on the basis of the same principles as those that apply to the parallel fund. Luxembourg LPs benefit from a number of attractive features that may not be available in all other jurisdictions. For instance, in certain jurisdictions, capital returned to limited partners is subject to a risk of clawback in certain circumstances. In order to limit that risk, limited partners’ commitments are structured by way of a combination of a small amount of capital (exposed to the clawback risk) together with a large percentage of a non-interest bearing loan. 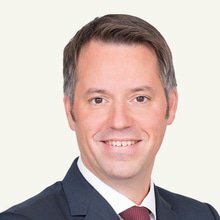 In a Luxembourg LP, capital returned to partners by way of distribution of dividends or reimbursement of partnership interests cannot be recalled, unless otherwise provided for in the partnership agreement. Investor commitments in a Luxembourg LP may therefore be structured by way of a 100 per cent capital contribution. As is the case in most jurisdictions with an LP regime, limited partners in a Luxembourg LP may lose their limited liability if they intervene in the management of the LP. However, in Luxembourg this risk only arises if a limited partner carries out acts of external management, which entail an element of representation of the LP towards third parties. The Luxembourg LP regime provides expressly that limited partners are not at risk of losing the benefit of their limited liability if they perform acts that are internal to the LP, such as exercising rights attached to the status of a partner in the LP, providing advice or consultation or controlling the business of the LP. Unregulated LPs are not subject to the supervision of the CSSF. An unregulated LP may therefore be launched without the approval of the CSSF and no regulatory approval is required in relation to any of the steps to be performed during the life of the unregulated LP. However, this does not mean that all unregulated LPs fall outside regulatory supervision. Unless they benefit from an AIFMD exemption (such as the de minimis exemption for smaller funds or the exemption for AIFs managed by a non-EU manager), unregulated LPs that are AIFs must be managed by an authorised AIFM and are therefore indirectly subject to regulatory oversight through their AIFM. This also means that, despite the absence of direct regulatory supervision, an unregulated LP that is managed by an authorised AIFM (whether in Luxembourg or in another EU Member State) fully benefits from the AIFMD marketing passport. First, unregulated SCSs and SCSps cannot avail of the umbrella structure, and cannot create segregated portfolios of assets and liabilities (compartments). Second, SCSs and SCSps are not subject to taxation (provided they can be regarded as AIFs or meet certain conditions that have been clarified by the Luxembourg tax authorities by way of Circular LIR No. 14/4 dated 9 January 2015) and a tax-opaque vehicle (with access to certain double taxation treaties) may be more appropriate in certain circumstances. The RAIF regime offers a solution to managers setting up AIFs that want to avoid the double layer of regulation, while at the same time benefiting from the umbrella structure that, until the adoption of the RAIF, was reserved for regulated funds such as SIFs and SICARs. Also, RAIFs may be established either as tax-transparent or tax-opaque vehicles. The RAIF is reserved for the structuring of funds that appoint a duly authorised AIFM, established in Luxembourg or in any other EU Member State. RAIFs may be established under different legal forms, including that of a common fund or an investment company incorporated, among other corporate forms, as a public company or an SCSp. RAIFs must in principle comply with the risk-spreading principle, with a maximum concentration ratio in any single investment of 30 per cent. However, RAIFs that have the sole objective of investing in risk capital may be exempted from the risk diversification requirement and benefit from a tax regime that is similar to that applicable to SICARs. The concept of risk capital covers basically all types of private equity and venture capital strategies. An additional and increasingly popular funding method in Luxembourg is securitisation, by which a Luxembourg securitisation undertaking acquires or purchases risks relating to certain claims, assets or obligations assumed by third parties, and finances such acquisition or purchase by the issue of securities, the return on which is linked to these risks. Despite certain image problems of securitisation in general after the sub-prime crisis in 2007–2008, there has been a very positive development and steady growth of the Luxembourg securitisation market in the past couple of years. At the beginning of 2017, over 1,200 securitisation vehicles had been registered with the Luxembourg trade and companies register. Furthermore, this number does not accurately reflect the success of the Luxembourg securitisation market as Luxembourg law allows, as further described below, for securitisation vehicles to create several compartments. It becomes the funding method of choice for more and more companies that own suitable financial assets. The Luxembourg securitisation act of 22 March 2004, as amended (the Securitisation Act 2004) provides a complete and solid legal framework for the Luxembourg securitisation market and is considered as one of the most favourable and advanced pieces of European legislation for securitisation and structured finance transactions. The robustness and flexibility of this Act is highly appreciated by the international players that are using Luxembourg as a hub to set up a Luxembourg law governed securitisation undertakings in order to access the capital markets. The Securitisation Act 2004 distinguishes between regulated and unregulated securitisation undertakings. A securitisation undertaking must be authorised by the CSSF and must obtain a licence if it issues securities to the public on a continuous basis. Both regulated and unregulated securitisation undertakings benefit from all the provisions of the Securitisation Act 2004. A securitisation undertaking must mainly be financed by the issue of instruments (be it equity or debt securities) that qualify as securities under their governing law. The Securitisation Act 2004 does not contain restriction as regards the claims, assets or obligations that may be securitised. Securitisable assets may relate to domestic or foreign, movable or immovable, future or present, tangible or intangible claims, assets or obligations. It is also accepted that a securitisation undertaking may, under certain conditions, grant loans directly. Very advantageous provisions for the securitisation of claims have been included in the Securitisation Act 2004. To enable the securitisation of undrawn loans or loans granted by the securitisation undertaking itself, the Luxembourg Act dated 5 April 1993 relating to the financial sector, as amended, exempts such transactions from a banking licence requirement. Furthermore, transactions that fall within the scope of the application of the Securitisation Act 2004 (such as, for example, credit default swaps) do not constitute insurance activities that are subject to Luxembourg insurance legislation. The Securitisation Act 2004 allows the board of directors of a securitisation undertaking to set up separate ring-fenced compartments. Each compartment forms an independent, separate and distinct part of a securitisation undertaking’s estate and is segregated from all other compartments of the securitisation undertaking. Investors, irrespective of whether they hold equity or debt securities, will only have recourse to the assets encompassed by the compartment to which the securities they hold have been allocated. They have no recourse against the assets making up other compartments. In the relationship between the investors, each compartment is treated as a separate entity (unless otherwise provided for in the relevant issue documentation). The compartment structure is one of the most attractive features of the Securitisation Act 2004, as it allows the use of the same issuance vehicle for numerous transactions without the investors running the risk of being materially adversely affected by other transactions carried out by the securitisation undertaking. The feature allows securitisation transactions to be structured in a very cost-efficient way without burdensome administrative hurdles. It is important to note that there is no risk-spreading requirement for compartments. It is hence possible to isolate each asset held by the securitisation undertaking in a separate compartment. The Securitisation Act 2004 also expressly recognises the validity of limited recourse, subordination, non-seizure and non-petition provisions. Rating agencies are very comfortable with transactions structured under the Securitisation Act 2004 as legal counsel can usually issue clean legal opinions. The Luxembourg legislator clearly succeeded in transforming Luxembourg in one of the leading financial hubs for securitisation and structured finance vehicles by producing an attractive legal and tax framework for Luxembourg securitisation vehicles. Luxembourg AIFMs and regulated funds (including SIFs and SICARs) are supervised by the CSSF. 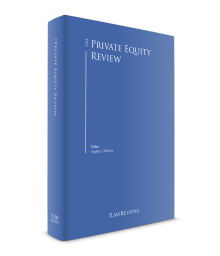 During the course of 2017, there were no major regulatory developments impacting specifically Luxembourg private equity funds or managers. Over the last 10 years, the Luxembourg asset management industry has shown amazing resilience and has adapted remarkably well to the raft of post-crisis EU regulations, including the AIFMD. It is hoped that we have now entered into a new cycle with lower intensity and volume of regulatory activity. Management services provided to investment funds are, under certain conditions, exempt from VAT in Luxembourg. The VAT Council Directive 2006/112 (the VAT Directive), which foresees this exemption, limits its scope to management services supplied in respect of investment funds qualifying as ‘special investment funds’. The VAT Directive does not provide for any further clarification with respect to this concept of ‘special investment funds’, but refers to the definition given to it by Member States. It is therefore not surprising that Member States have given different interpretations of the scope when implementing the VAT exemption into their domestic law. In Luxembourg, the scope of the VAT exemption is broad, as it applies to management services provided, for instance, to undertakings for collective investment in transferable securities (UCITS), AIFs and securitisation companies. The CJEU recently held (judgment of 9 December 2015, Fiscale Eenheid X, C-595/13, EU:C:2015:801, Paragraphs 44–46) that the introduction of the UCITS directive ‘limited the discretion of Member States to define special investment funds’ for the purposes of the VAT exemption, and that such concept ‘is therefore determined both by EU law and by national law’. This topic has recently been discussed within the Value Added Tax Committee of the European Commission (the Committee). A working paper has been published by the Committee, which aims to examine the scope of the VAT exemption in the light of recent case law rendered by the CJEU. The conclusion of the Committee’s working paper is that UCITS necessarily fall within the definition of ‘special investment funds’ for the purposes of the VAT exemption on management services provided to funds. The working paper further highlights that AIFs per se do not qualify as UCITS within the meaning of the UCITS Directive. AIFs could nevertheless qualify as ‘special investment funds’, for the purposes of the VAT exemption, if they are comparable to UCITS and if they are sufficiently comparable for them to be in competition with UCITS, which means, inter alia, taking into account the circle of investors targeted by AIFs and UCITS. Such comparability test would need to be carried out for each fund on a case-by-case basis, meaning that AIFs cannot be excluded, as a whole, from the scope of the VAT exemption of management services provided to investment funds. Further developments on this topic need to be carefully monitored by private equity houses. Brexit is likely to be one of the main challenges for the European private equity industry for the next few years. At the time of writing, uncertainty remains as to the ultimate agreement that will govern relations between the United Kingdom and the European Union once Brexit becomes a reality. 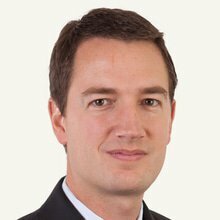 Many private equity houses are currently basing their Brexit strategy on the worst-case scenario, one involving a cliff-edge exit from the single market by the United Kingdom on 29 March 2019. Under such a scenario, all UK fund managers would lose overnight the benefits of all EU passports, which currently allow them to manage and market their funds on a cross-border basis within the European Union. The counter-attack generally consists in establishing a regulated manager in another EU Member State. This entails building up sufficient ‘substance’ locally, and in particular recruiting suitable personnel. When comparing the solutions available in various EU jurisdictions, numerous criteria, such as the existence of a stable and robust regulatory and tax framework, must be taken into account. The status of Luxembourg as the leading European fund domicile is a strong argument. Concentrating funds and their managers in one and the same jurisdiction offers many benefits: the same legal and regulatory framework, the ability for funds and their managers to share local resources, etc. It is therefore not a surprise that several leading private equity firms have decided to establish their European hub in Luxembourg.